Do you have a child or know someone with a child starting kindergarten in the fall? 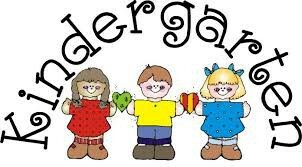 We are now taking kindergarten information for the 2018-19 school year for children who will be five years old on or before July 31 this year. 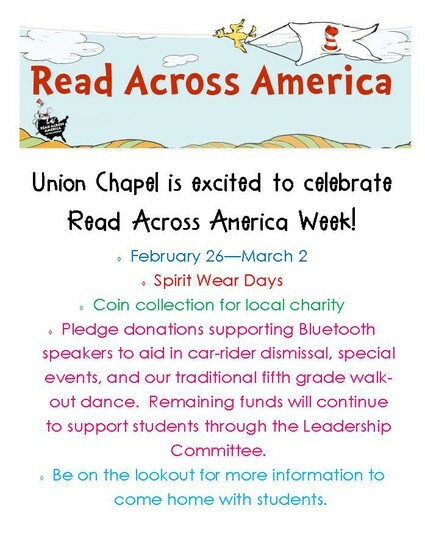 Please contact Susan Sadler in the Union Chapel office at 816.359.4310 for more details. Kindergarten enrollment and roundup information will be available soon! Good news, Gator Grill patrons! The Gator Grill now has a locking mailbox for lunch account deposits during hours that the cafeteria is closed. 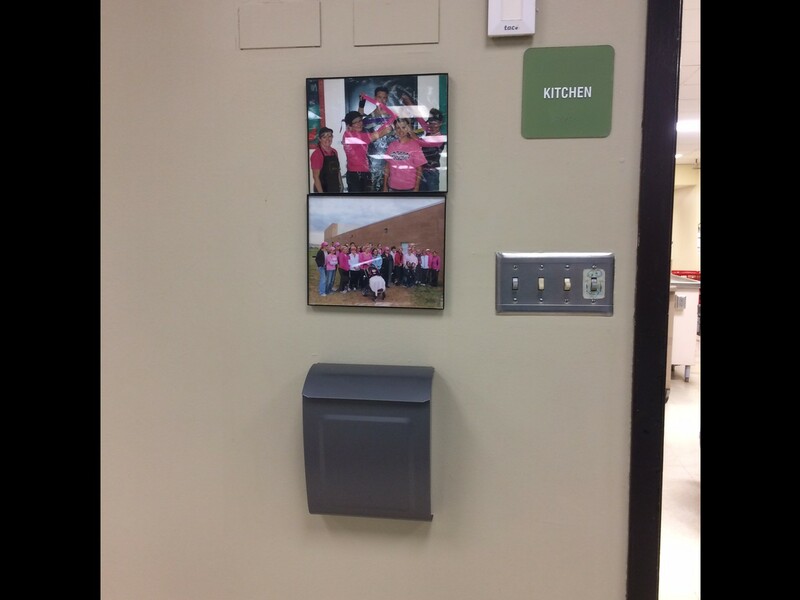 The mailbox is mounted on the wall next to the door of the kitchen. If you have any questions regarding UC food service, please contact Manager Chrysie Franksen at 816.359.4316. Park Hill has started the process of choosing the first principal of the district’s new middle school and choosing a permanent principal at Lakeview Middle School, since it currently has an interim principal. This is our standard procedure for interim positions. We will assign the principals in June 2018 and the assistant principals in November 2018. We will name the principal for the new elementary in fall 2018. To see the next steps in our timeline for the long-range facility plan, see the district website, www.parkhill.k12.mo.us, under District Information at https://www.parkhill.k12.mo.us/district_information/long-range_facility_plan_projects. As you might have heard, we are working with residents who started a petition to share their concerns about our purchase of almost 272 acres of land at 68th Street and Waukomis Drive. As called for in our long-range facility plan, the land will house our next elementary school and a facility for our high-school students (this is also on our district webpage for the long-range facility plan). The elementary will open in 2019, and the LEAD Innovation Studio, which is operating in a leased office space, will move to the new high-school facility no sooner than 2020. The size of this land and the designs for the high-school facility will allow us to build onto it to make a full high school at this location if we have enough enrollment growth in the future. This plan helps us continue to be good financial stewards of taxpayer dollars. We made plans for our new schools to take advantage of the natural beauty of the land and leave as much of the wooded area as possible. We are also working with the city of Kansas City, encouraging the city leaders to consider scaling back their plans for a full parkway through the property to make it a smaller roadway. The section of the Line Creek Trail that runs along the edge of our property belongs to the city of Kansas City, Missouri, and we are excited to have this public amenity so close to our new schools. We spent years planning to accommodate all the new students moving into our district, and we did this with a great deal of community participation. We plan to be good neighbors to the people around this property, and we plan to be good stewards of this beautiful land, just as we continue to try to be good stewards of the taxpayer dollars that will build these schools for our community’s children. The Science Fair is a NON-competitive event and involves as few rules and requirements as possible. Our goal is for students to have fun learning about a science topic of their choice and to give them an opportunity to show what they’ve learned. Union Chapel students are invited to be a part of the Science Fair on Thursday, April 5, 2018. 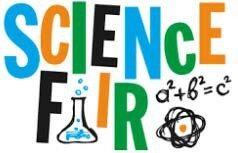 All 5th grade students will participate in the Science Fair as part of their grade-level expectations. All K-4 students are encouraged to participate, but it is not a requirement. 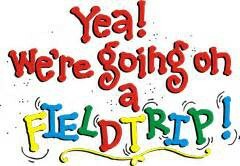 Look for more information coming home with students on February 16th. Girls on the Run of Greater Kansas City wants every eligible girl to participate regardless of her financial situation. A Girls on the Run group sponsored by parents from our school meets at Union Chapel Along with daily fitness and running/walking activity, the Girls on the Run curriculum includes lessons on friendship, self-talk, empathy, managing emotions, and other topics that prepare girls for a lifetime of self-respect. Girls on the Run is available to all third, fourth, and fifth grade girls. 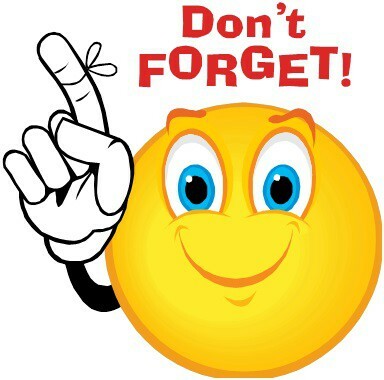 Practices are held after school every Monday and Wednesday from 3:30-5:00pm beginning February 26th. The season ending celebratory 5K will take place at Children's Mercy Park on May 5th. Financial assistance is available for anyone who expresses financial need or participates in the Free and Reduced Lunch Program. Registration opens on February 3rd and can be completed at www.gotrkc.org. Please contact our school social worker, Ellie Hart at harte@parkhill.k12.mo.us with questions regarding a reduced registration fee of $10 (including a new pair of running shoes). Encouraging children to read at home is one of the most powerful ways that parents can support students' learning. Just 15 minutes of reading at home per day can make a difference in students' reading fluency. This month's Report to Parents, The Rewards of Reading, offers families strategies to get kids reading more at home. Tambien disponible en español, aqui. 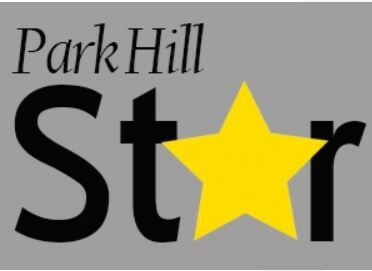 The nomination form for the Park Hill Star award is open! This award recognizes employees who reflect the district’s values of continuous improvement, high expectations, integrity, visionary leadership and student focus. Anyone can nominate a pre-K or elementary teacher, a secondary teacher and a support employee for the monthly recognition. Also, check out the compilation video of the 2016-2017 Park Hill Star award winners. 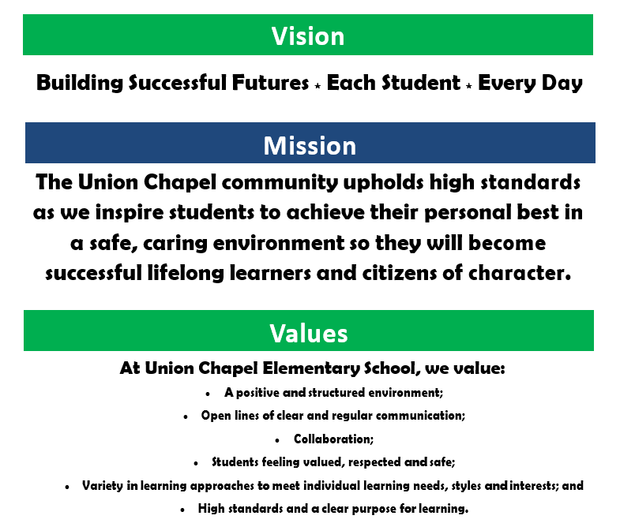 Click here for a listing of all previous Union Chapel nominees and honorees.